Dr. Moloney has been conducting research at the Arctic Institute of North America (AINA), since May 2016. He holds a Ph.D. in Archaeology from the University of Calgary, an MA in Maritime Archaeology from the University of Southampton, and a BA in Classical Studies from the University of Waterloo. Michael has worked in remote locations around the world conducting archaeological excavations both on land and underwater. In 2013 and 2014, Dr. Moloney participated in the underwater excavation of a Viking Age harbour on the remote island of Birka Sweden. 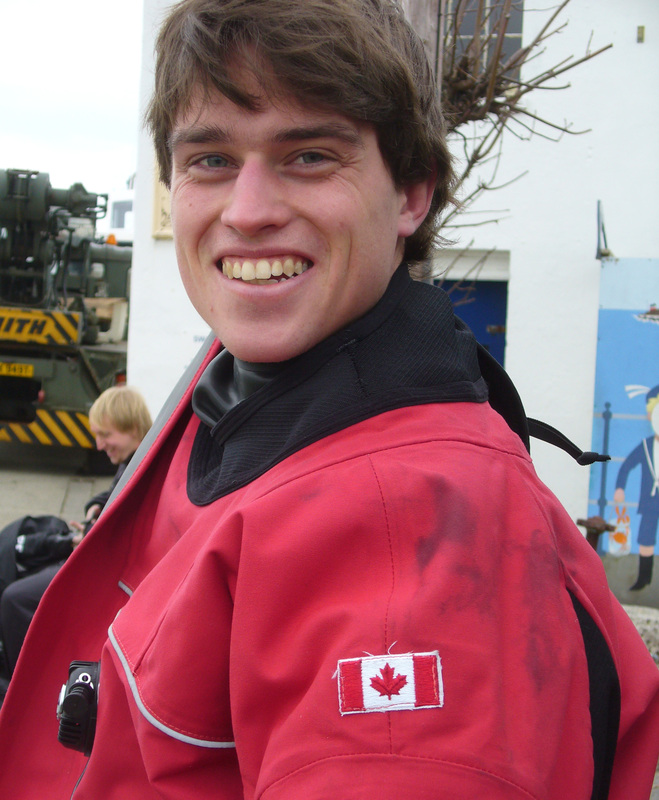 In addition, to excavating the site Michael also served as the dive safety officer and rescue diver for the project. In this role, he was responsible for dive planning, equipment management and safety checks, as well as ensuring adherence to European Scientific Diving (ESD) diving safety protocols and best practices. In addition to the Birka project, Dr. Moloney has also served as a dive guide in Southeast Asia, participating in several successful rescue operations over his career, as well as serving as a dive safety guide on many recreational and training dives in Canada, the US, England, Sweden, and Thailand. Since 2011, Dr. Moloney has been involved in environmental impact assessments for a variety of developments in Alberta and Saskatchewan. In particular, he has conducted historical resources impact assessments and mitigations in the boreal forests of northern Alberta and Saskatchewan. These surveys have required the coordination of a number of personnel in remote areas, often accessed only by helicopter and off-road vehicles. Dr. Moloney has functioned as crew lead and project director in many cases, responsible for a safe and effective work environment while in the field, as well as pre-project planning and post field assessment. He has worked with First Nations communities and organizations across Alberta and Saskatchewan, and with Parks Canada. In his personal life, Dr. Moloney is an avid outdoorsman and has enjoyed many multi-day forays into the backcountry, day hikes, and rock-climbing. During the winter he spends his time snowshoeing and ski touring. Dr. Henry Penn has a Ph.D. in Interdisciplinary Science from the University of Alaska Fairbanks, and Masters Degree in Civil Engineering from Loughborough University in England. His research is focused on water infrastructure and water security in rural and remote northern and Indigenous communities and he has worked in partnership with communities and Indigenous organizations in Bristol Bay and Northwest Alaska and more recently in Yukon. Dr. Penn is currently developing a program to implement sustainable energy infrastructure and technologies at our research station at Kluane Lake, Yukon. The aim is to develop a platform to support rural communities develop their own sustainable energy systems while at the same time modernizing the research station facilities and lowering our environmental footprint and providing an experimental facility that communities can use as a test bed prior to major investment in new technologies. In this endeavor, Dr. Penn has partnered with Kluane First Nation, and the Arctic Institute of Community Based Research in Whitehorse.